They are all increasingly being considered and managed as brands. Their relevance, their connection to people and their preference (degree of brand appeal). The degree of appeal brands produce on us is increasing, even in child or young targets, whose purchasing power is lower or who depend on their parents. Whereas it is due to historical reasons related to expansion or to competitive or commercial demands related to innovation, many companies suffer from a certain disorder or proliferation (excess) of brands in their portfolios. This phenomenon takes place when companies need to create more and more brands (new brands, subbrands, brand extensions) in order to keep the same level of production or sales, with a lack of strategic reflection on the consequences and the way in which these facts are going to affect their brand portfolio’s “overpopulation”. Does anybody remember Chambourcy yoghourts by Nestlé? Nowadays they are Nestlé yoghourts or La Lechera by Nestlé yoghourts. Focused to compete better… Unilever reduced their number of global brands dramatically to half in the last few years in view of globalization and in order to improve their efficiency in the management of their global brands portfolio. They focused on those that presented strategic potential. This article intends to revise the main terms, concepts and advice related to brand portfolio strategy, and a strategic approach to prevent disorder and proliferation of brands. The brands portfolio is something dynamic and must be seriously taken into account as we make decisions about our brand strategy: create, introduce or eliminate brands or subbrands, extend a brand to a different product category, target, use or segment, upgrading or downgrading a brand, enter new markets or categories, the use of descriptors or new varieties. The issue is sometimes complex and rambling in wide or crowded brand portfolios, particularly in organizations with an intense activity. Unfortunately, considering the brand portfolio is presented as a more tactical (just to get by) than strategic issue. But the consequences on management, commercialization, efficiency (ROI), assignment of resources and publi-promotional actions are enormous. There may be overlaps, wrong hierarchization, lack or excess of brands, wrong regrouping, disoriented or misplaced brands, forgotten brands without clear profit, contradictions, etc. 2- Think long-term and incorporate the future (what is planned to be launched). 3- Aim towards consumers’ perspectives and motivations of purchase (and sales). 4- Revise all possible models in brand architecture (possible options) and recommend the most coherent, valid and adequate options. 5- Management of architecture: watch over its coherence and extension, with leadership, order, direction and sense. Even though many companies introduce more and more brands as a response to consumers’ changing demands, it is important to limit the introduction of new brands or subbrands to those that are really necessary and enough to satisfy both the company’s objectives and the consumers’ needs. Less brands are often more profitable and enough. Less brands in the portfolio implies reducing the possibility of overlaps and inefficiency, avoiding consumers’ confusion and allowing more focus and strength, as well as being more efficient and effective in actions and expenses. The possibility of “saving” brands should always be considered. Less is more and better. A brand’s architecture is the base camp or guide on which the whole current business portfolio is developed, but it should also consider the future. The pipe line of future developments should be included, and strategic (future) businesses should be distinguished from current ones, and incorporated with enough space for growth. The foundations must be well built as they will be hard to change afterwards. In the end, a brand and its value are in the consumers’ minds. For that reason, it becomes essential that their needs, perceptions and expectations are taken into account in all the decisions related to the brand portfolio and purchases. Portfolios should be built and organized well so they can build value and synergies, and also be effective for consumers and sales. Brand architecture may be defined as “the way in which the management of the components in the products’ portfolio is structured, and the perception of how they relate to each other to add value to the organization”. Even though the way brands are connected and structured may be wide and diverse, we will try to simplify them. 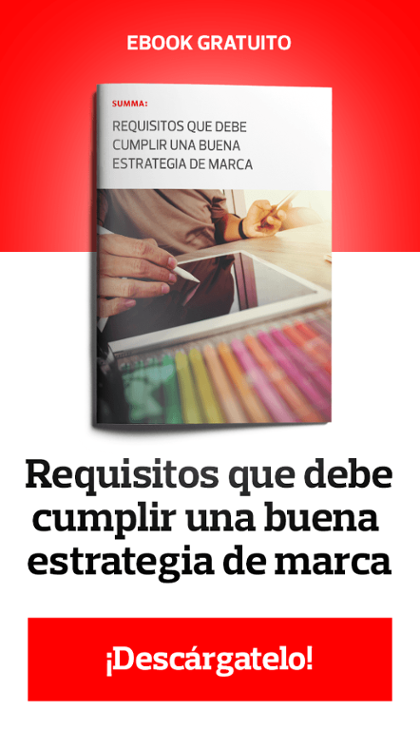 1) Masterbrand – for example BMW, IBM, Cola Cao. 2) Endorsement (strong or light) and their combinations or hybrids – for example Virgin, Nestlé, Danone, etc. 3) Multibrand – for example P&G with brands such as Ariel, Fairy and Pantene, or Unilever with Flora, Frigo, Pond’s, Dove and Skip. Each of these approaches has both advantages and drawbacks. For example, a Masterbrand improves clarity and synergy among the brands in the group. The advantage of a multibrand strategy, on the other hand, is that the main brand can remain apart from those that are owners and be addressed towards very specific needs and targets. Their connection to that target is therefore greater and better, and the failure of a single brand does not have such a strong impact on the masterbrand or the others. A good analysis of the needs of the business and the targets is necessary so as to choose the best option. The management of a brand portfolio is a wide and complex task, so it should not be neglected or left in the hands of someone inexperienced or someone with many other fields of responsibility. In wide and complex portfolios, a particular portfolio manager should be assigned to lead this function. This person (Architecture Manager) and his/her function will make the use of resources and the achievement of synergies among brands more effective, and will also have a better vision and perspective of the portfolio to guide it, simplify it and make it more effective. This “Champion” exerts leadership , normalizes and organizes management, while avoiding improvisation and the ineffective proliferation of brands, or possible strategic problems related to positioning. The portfolio clearly requires attention. Even though the five recommendations are a good starting point for companies and brands, there are many other factors to consider when it comes to brand portfolio strategy, which include corporate vision, values, positioning, opportunities, consumer perception, sales department, customers of the channel, new market trends and competitors’ positioning. These considerations should no be left apart, for they are helpful in the construction of architecture strategies which really believe in brand value. Obviously, and we will finish with that, the Naming system used must go along, be based on that architecture, and help to provide sense and conviction. A real challenge that may not always be easy.